When we found out that Fergie was making a musical comeback we were, understandably, very, very excited. The singer hasn’t released a solo album since 2006 (THAT’S 10 YEARS), and doesn’t seem to be too involved with the Black Eyed Peas anymore. Called “Life Goes On,” the track is a mid-tempo bop that showcases Fergie’s signature vocals. Complete with very on-trend tropical synths and beats, there’s also a brilliant guitar riff that compliments the chilled nature of the song. There’s even a rapped middle-eight and it’s amazing. Fergie had previously been teasing the song over social media. "In the midst of all the madness, remember life is beautiful. #LifeGoesOn"
Listen to “Life Goes On” below. Featuring Chrissy Teigen, Kim Kardashian, and fellow singer Ciara, the song’s video is totally bonkers. In comparison, “Life Goes On” is a more subdued affair. In fact, given the events of the past week, the track is the perfect accompaniment if you need some musical escapism, and we love the lyrics about overcoming adversity and its general air of positivity. "Life goes on with or without you/It's up to you what you're gonna do/You could go or you could stay/Who cares anyway?Life goes on with or without you," she sings over a tropical beat and airy guitars. Is it just us, or are you drawing some serious comparisons to Fergie’s 2007 single “Big Girls Don’t Cry (Personal),” which has remained an ultimate jam for 10 years? 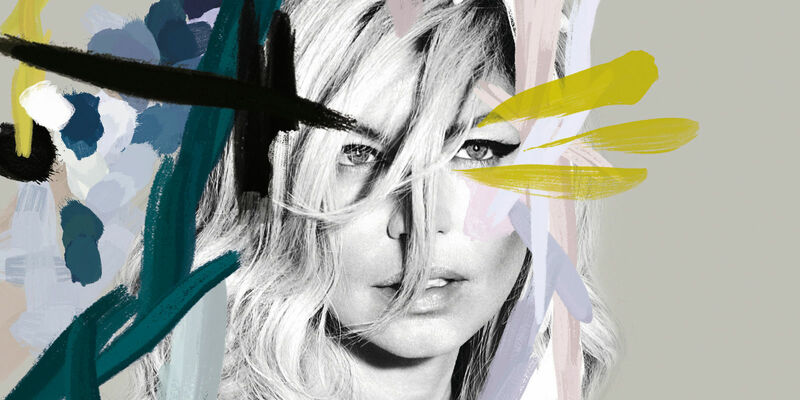 “Life Goes On” is the second single to be lifted from Fergie’s upcoming second album, Double Duchess. The album, which was teased by the singer’s husband, the actor Josh Duhamel, earlier this year, doesn’t have a firm release date yet, but we’re expecting it to be released early next year. In the meantime, “Life Goes On” is available to stream and download now.